My name is Christina and I serve on the the Minnesota School Outreach Coalition (MNSOC) Each year, MNSOC puts on Q-Quest Youth Conference. Q-Quest is a day-long event for Lesbian, Gay, Bisexual, Trans*, Queer, and Allied youth. 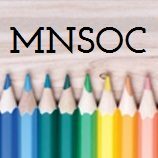 There are workshops, entertainment, art, and conversation with several hundred other LGBT*QA youth from across the Metro and Greater MN area. Q-Quest will continue to be held over two days which allows us to better serve and design age appropriate programming for our youth. There will be a $115 tabling fee/ day for our resource fair. Middle school resource fair attendees- Please refer to national sexual health standards to review what sexual health information meets the standards for grades 6-8. We want to ensure information provided remains age appropriate. I would also like my staff to volunteer at Q-Quest! I need more information about the resource fair or about Q-Quest. Recognition on the MnSOC website.